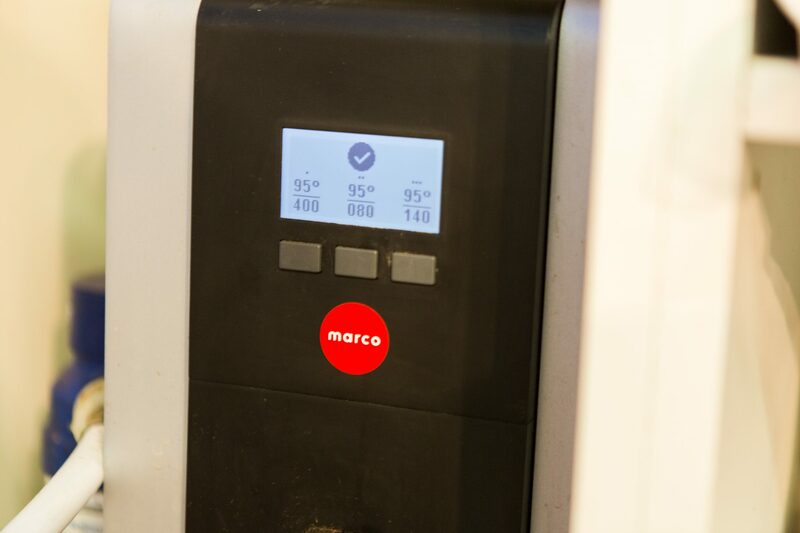 How Origin Coffee Roasters Maintains Coffee Quality - Marco Beverage Systems Ltd.
Coffee Quality: why is it so important? As a Roaster or speciality coffee business, quality coffee is the single most important thing you need to consider. The term quality control is a commonly used phrase within the specialty coffee business, with all companies practicing it in some form or another. It is about ensuring the standard of your product is maintained until it reaches the end consumer, with attention needed at every stage of the process. For Origin this means we are in attendance for the duration of the coffee bean’s progress, from tree all the way to your cup in one of our cafes, or one of the many excellent establishments we supply. Throughout the year you will find our roasting team, not only in communication with, but at the source of the coffee we buy; visiting and conferring with the producers and discussing the best practices and standards regarding the coffee we purchase. This allows us to both trade directly with the coffee growers and to grant us access to the finest crops worldwide. Once the coffee has arrived with us the roasters are carefully configured to perform in a way that best suits the bean. Using Loring Smart Roast machines we can achieve high levels of accuracy from roast to roast. Each product is systematically sampled and subjected to sensory analysis every week so that we can be sure that the coffee is not only up to the standard we intend, but that the performance of the coffee can be monitored over time. Am equally crucial aspect to quality control is analysing coffees through consistent, reliable brewing. To do this we turn to equipment like Marco’s MIX UC3 boiler, precision crafted cupping bowls, precisely calibrated grinders to create triangulations tables. These tables mean we compare past approved coffee with coffees to be approved. By tasting them blind but all brewed using the most advanced equipment in coffee we can ensure that the coffee that leaves our roastry is as intended. Our quality measures don’t stop here however. Our intentions reach beyond the coffee leaving our warehouse for the various locations around the country. With our extensive SCA accredited training program we can ensure the skills of those who serve the coffee to the end consumer. We have dedicated training centres in both Cornwall and London, as well as mobile training capacity nationwide (and abroad). The consistency of our sensory checks too, mean that our buying decisions in the future may be better informed by the product’s performance today, ensuring Origin’s constant improvement and ability to stay at the fore of the industry. This omnipresence of our quality control measures from farm to final beverage affords us a great deal of confidence in the service we offer to our customers. 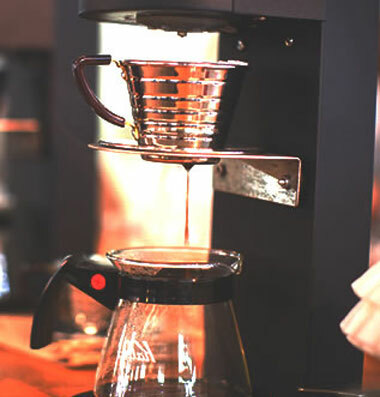 We can be sure that every member of team who comes into contact with the ingredients that go into making that cup of coffee has the appropriate knowledge and skill to make it to the best of his or her capability, and in a manner that befits the efforts put in by those who work painstakingly to produce the coffee. 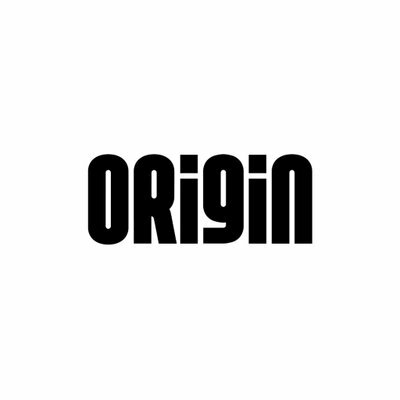 If you see an Origin logo on the bag you can be sure that we haven’t merely placed our coffee there, but that our sourcing, roasting and educating protocols mean that you can be sure of a delicious drink and quality service wherever you may be.